This is my first re-post of a book review I did some time ago. This time I'm adding a 'YouTube' trailer for the book. It's a great old-fashioned classic, written in the present time, with great illustrations that leave you feeling happy. If you want to know more or buy the book please check out the web site by clicking on the author link half way down the page. Grandad Bob died before he could put everything right. We’ve got to act in his place.’ Sam and Danny have gone to stay at their aunt’s inn in the sleepy, run-down fishing village of Travin Cove. But it’s not all sunbathing and paddling and prodding around in rock pools. They’re also on a secret mission – to hunt for a mysterious object discovered by their grandad many years before and in doing so somehow to bring the village back to life … The only clues Sam and Danny have are a rather puzzling letter from their grandad and the key to a dusty old cabinet at the inn. 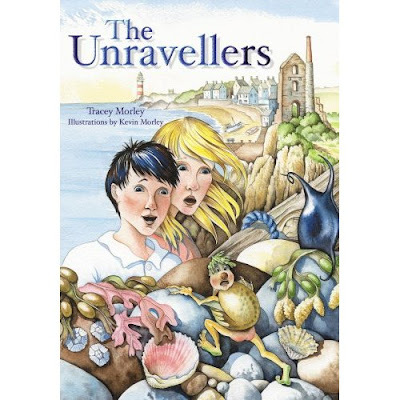 Then, when the key goes missing on a trip to the beach, an encounter with Winkle, the ‘thief’, plunges the children into the weird and wonderful world of the Beachcombers and the mystery begins to unravel at last … Beautifully told and superbly illustrated, The Unravellers will make you see a trip to the seaside in a whole different light! Firstly I have to say that this book cover is just great. The bright watercolour picture, featuring the main characters of the book sells itself well. This talented wife and husband team have done a very good job on the overall book. It's a great bedtime story for kids. I loved reading this book with its great imaginative ideas. Sam and Danny find themselves on a mission to find the key. This unlocks the cabinet which holds an adventure that is written in a non-fussy way; keeping to the story and leaving a warm cosy feeling right through to the last page. A super easy read which is recommended to everyone. The other great feature of this book is Kevin's amazing pen-ink drawings which sets the book apart from other books. I would buy this book just for these, especially being a big collector of pen and ink drawings myself. 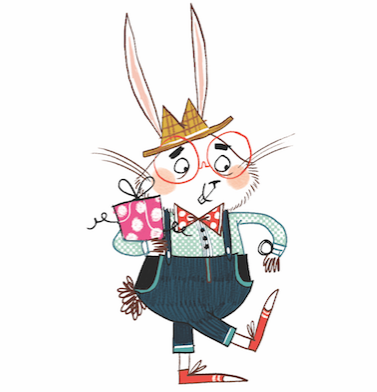 Also check out some of the great drawings on the Unravellers website I have listed. I give this book four out of five. I hope you'll give it some support and buy this book as it is published by a small publishing company.